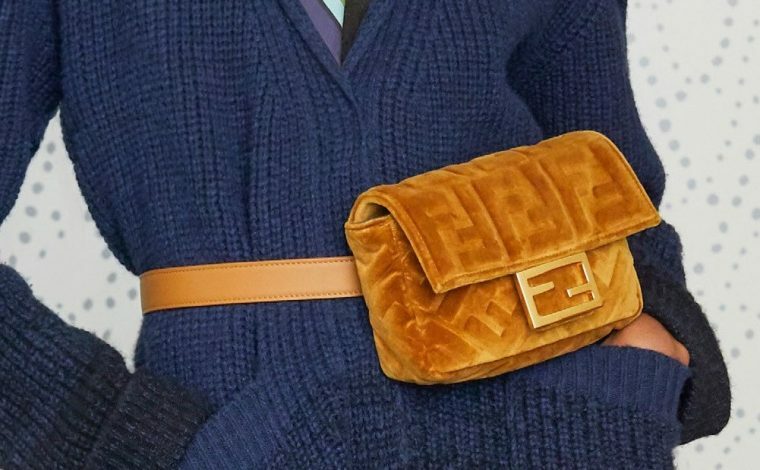 Presenting the Fendi Pre-Fall 2017 Bag Collection. 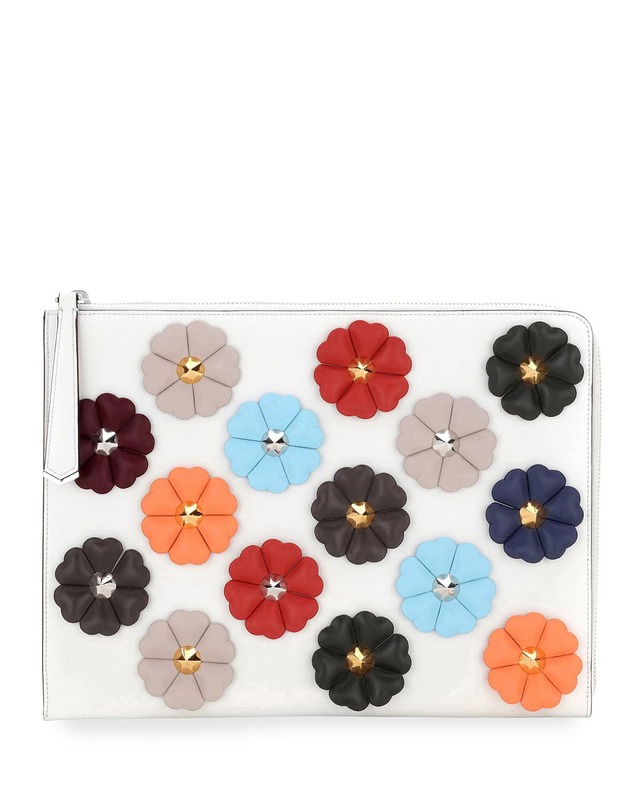 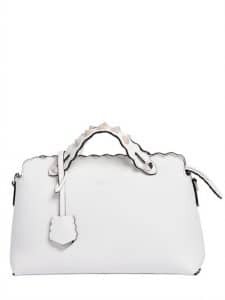 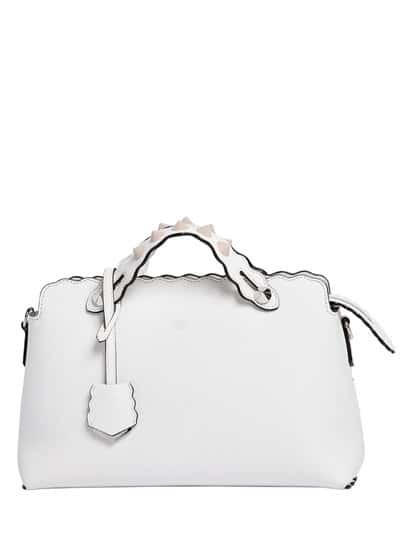 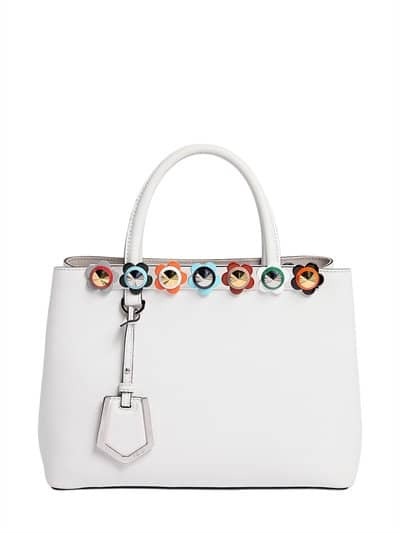 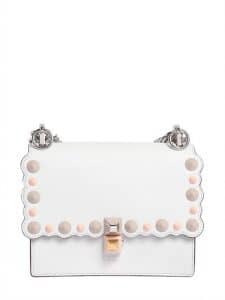 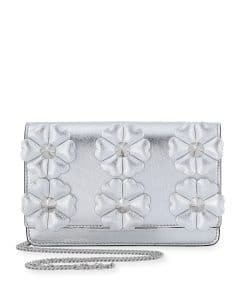 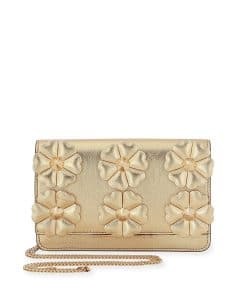 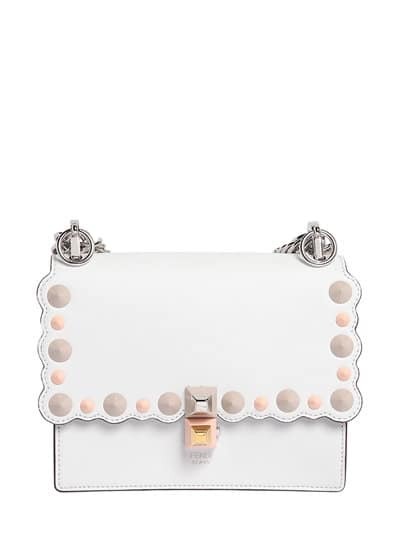 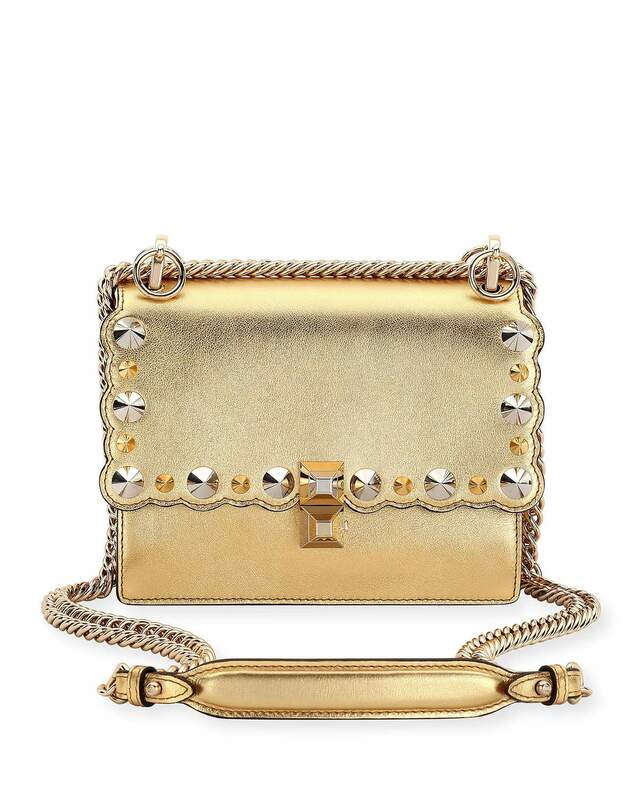 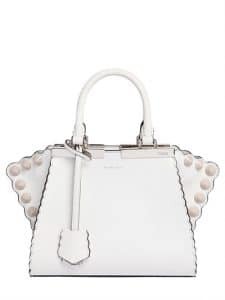 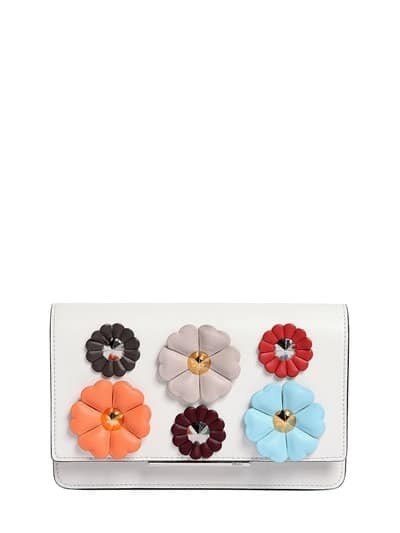 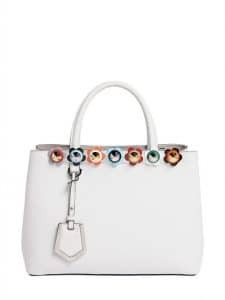 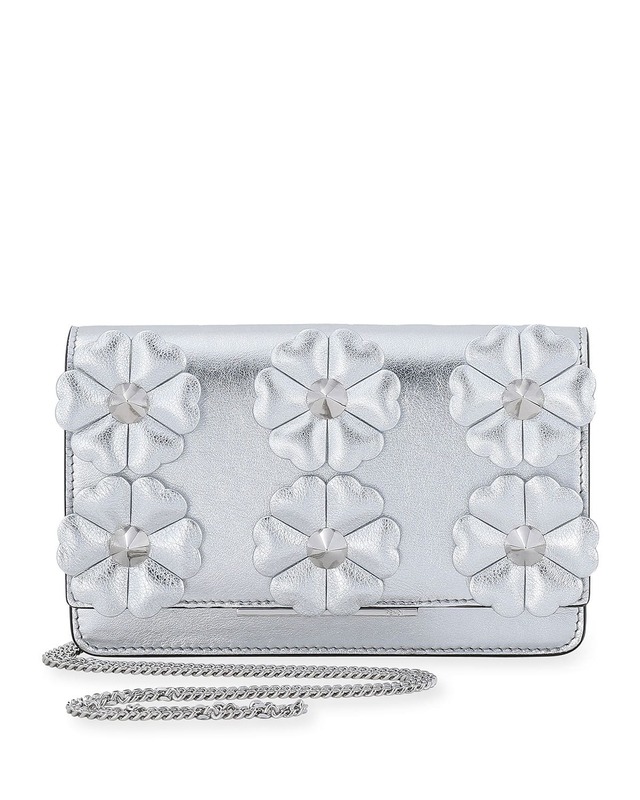 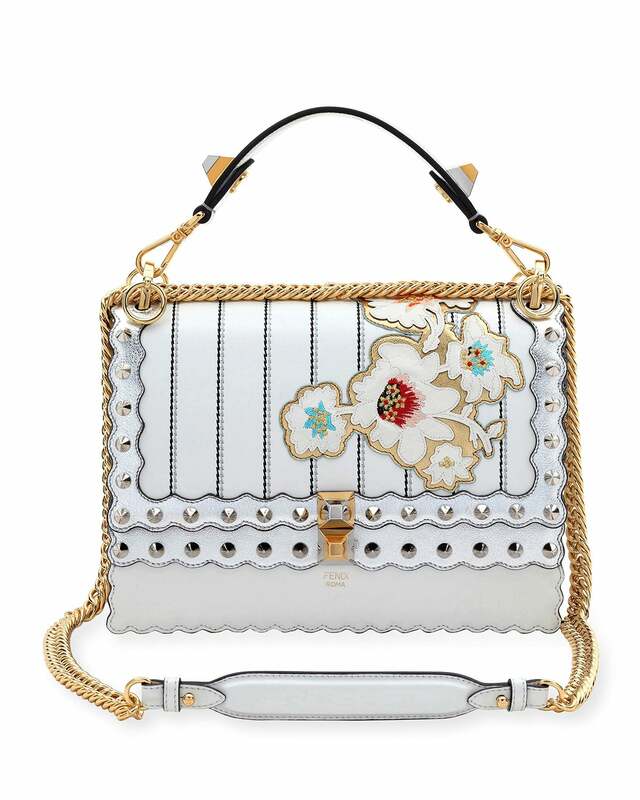 The newest collection features handbags in white color with pretty stud and floral embellishments. 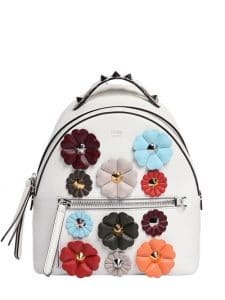 The brand also introduces their latest design, the Back To School Backpack. 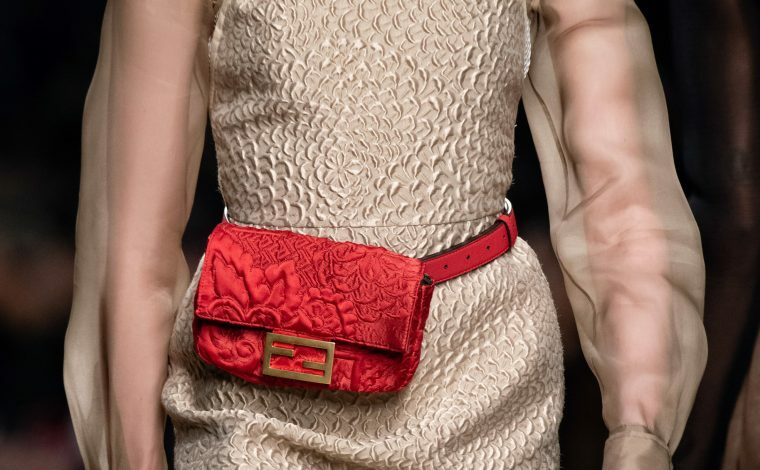 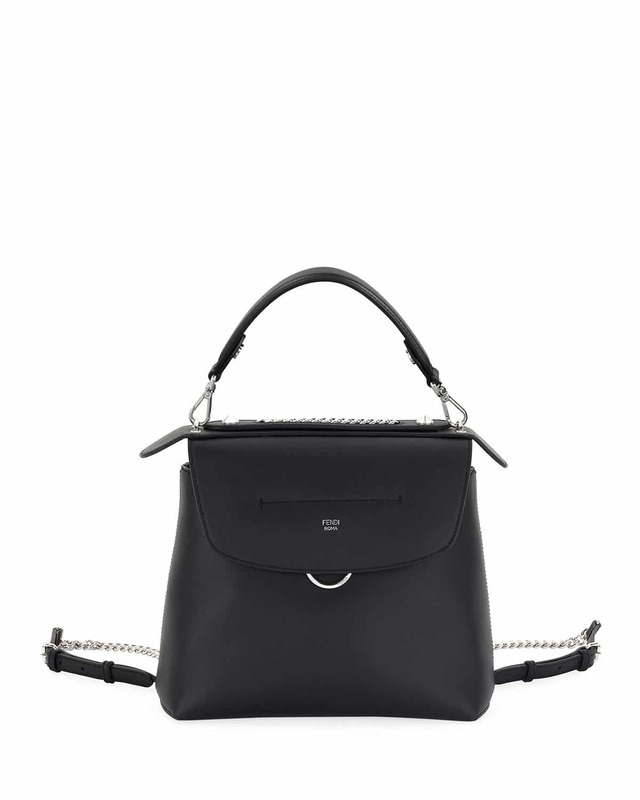 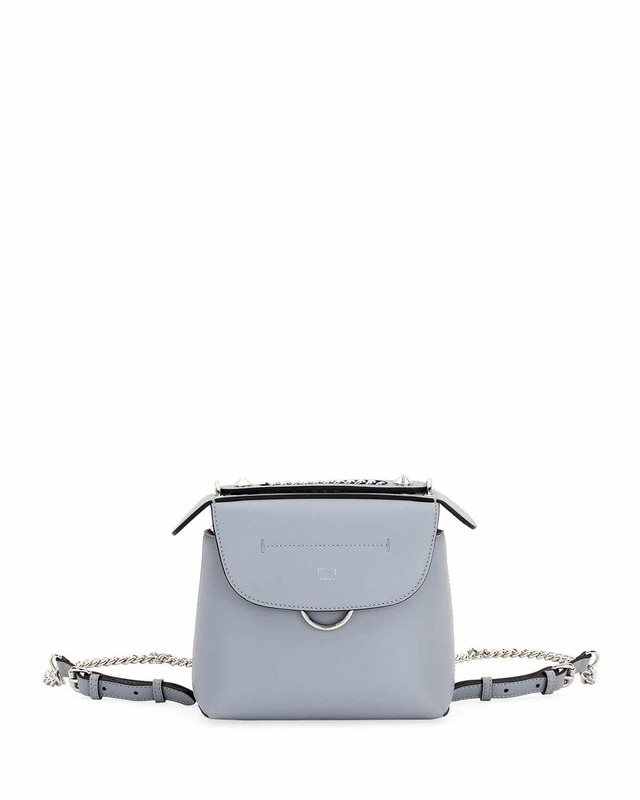 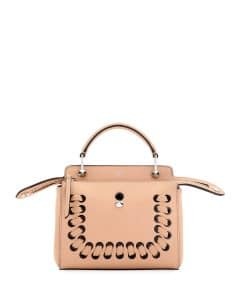 It has a flap top with snap closure and sliding chain/leather strap that can be worn across the body or as a backpack. 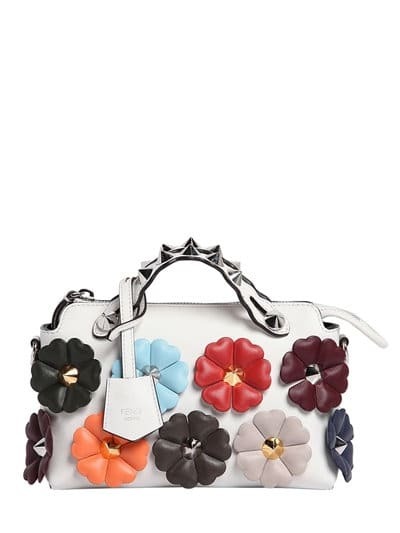 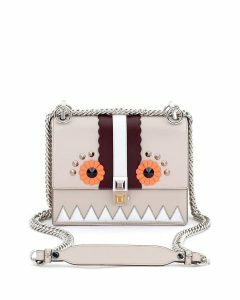 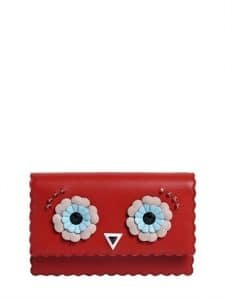 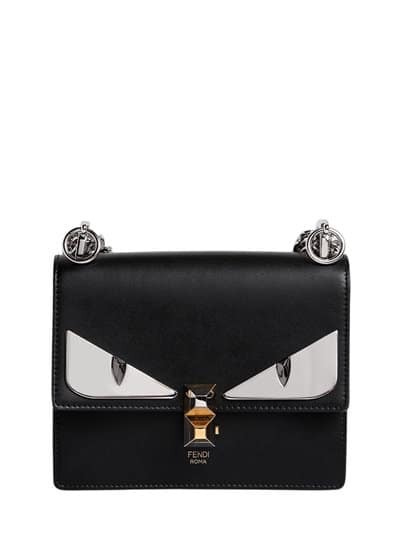 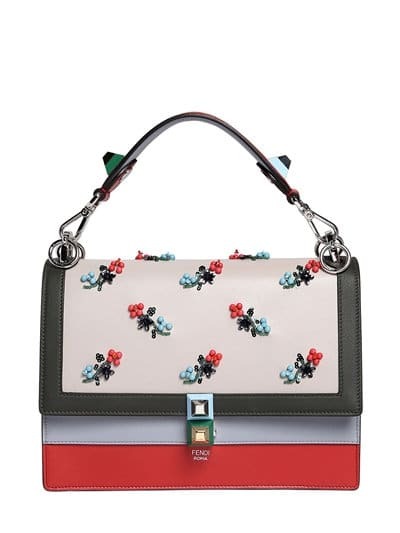 The Fendi Faces is back, which comes in floral eyes for the Women’s Collection. 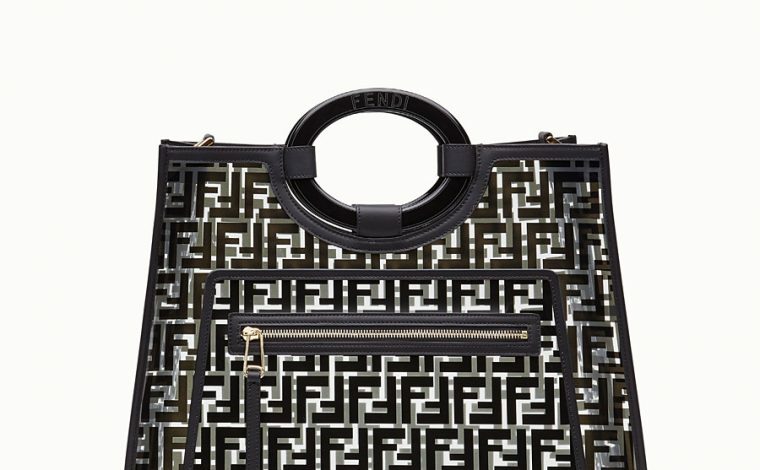 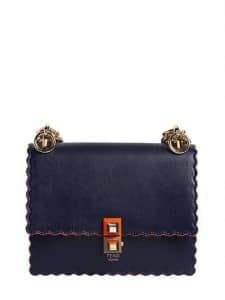 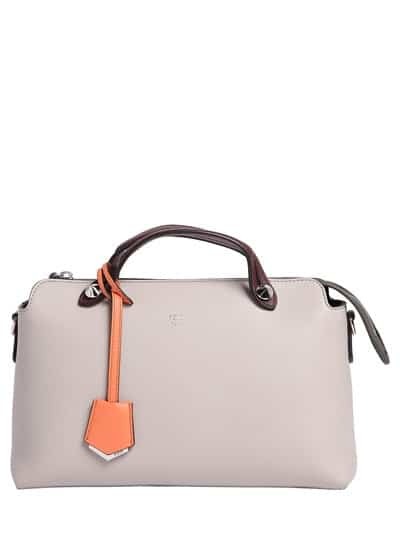 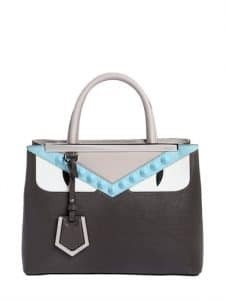 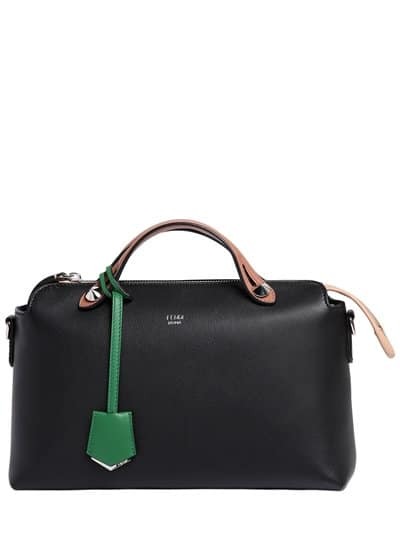 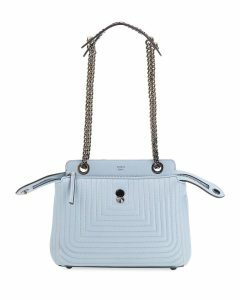 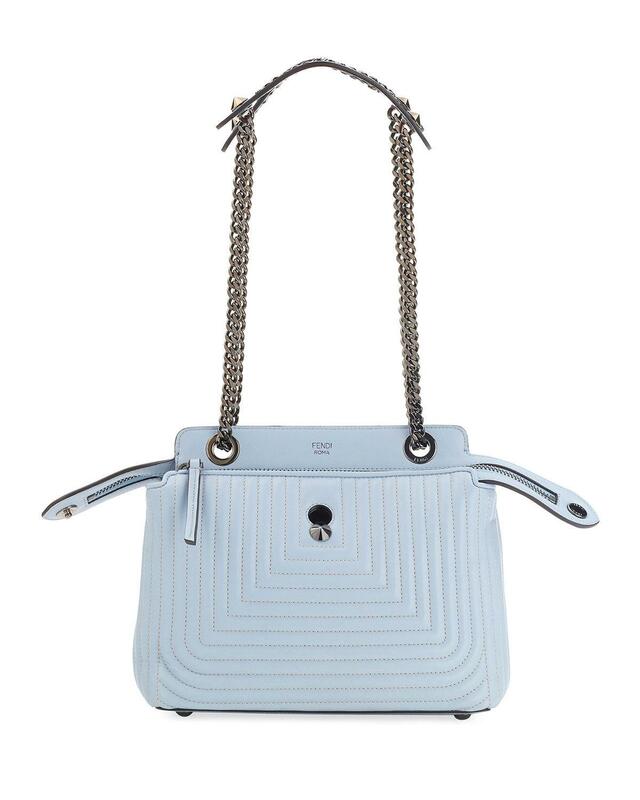 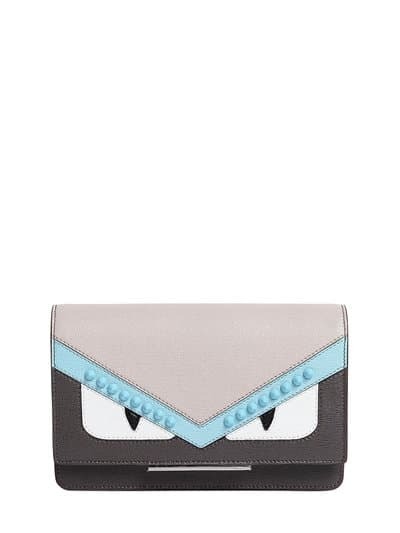 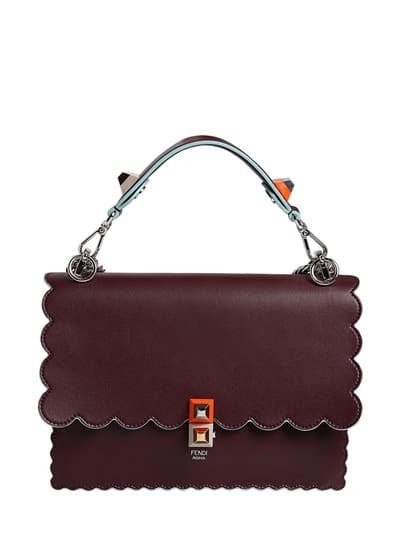 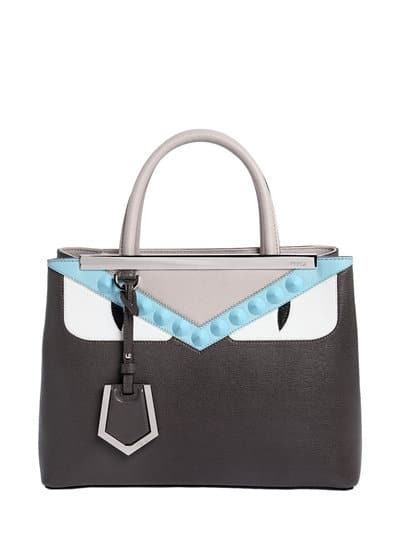 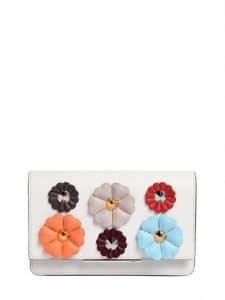 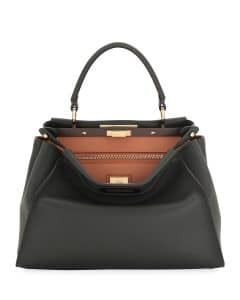 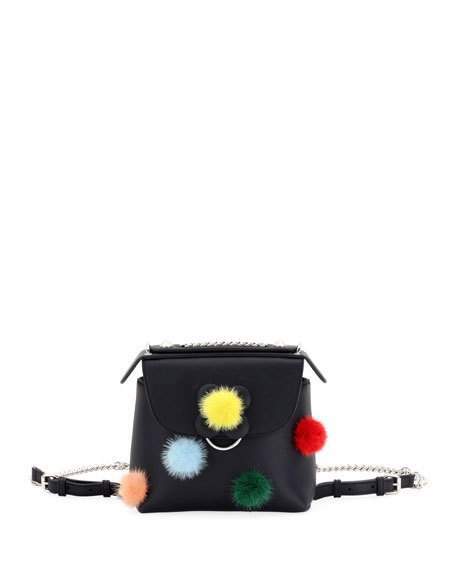 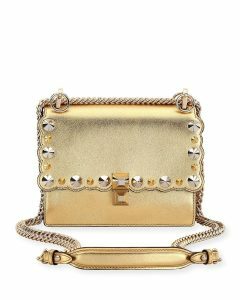 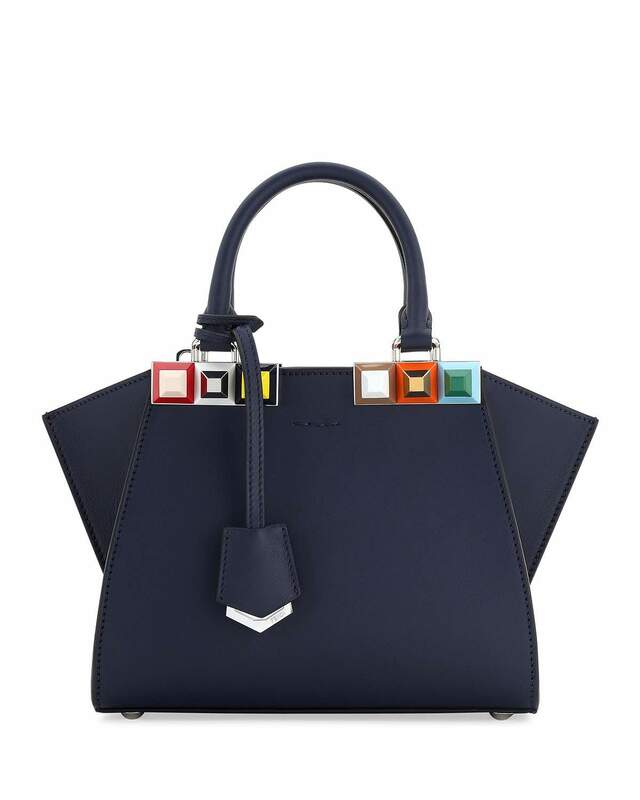 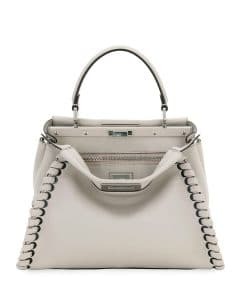 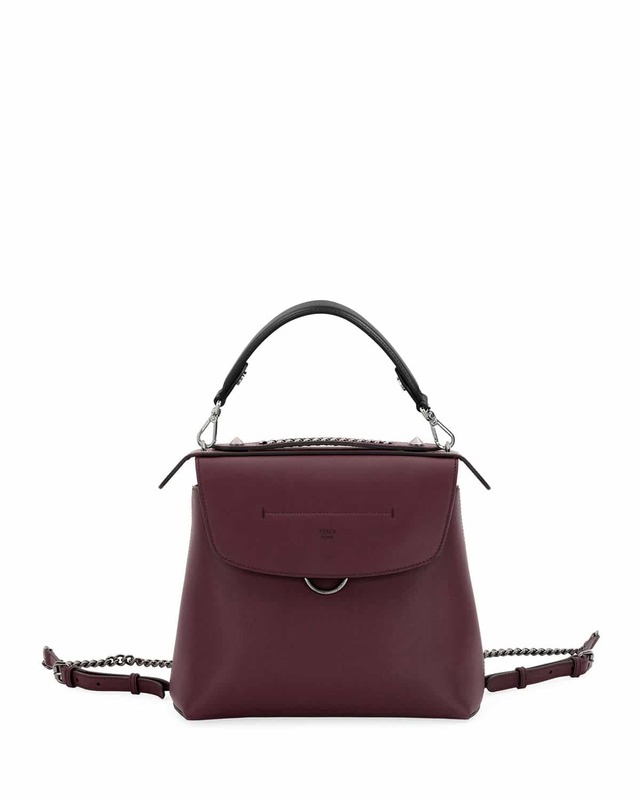 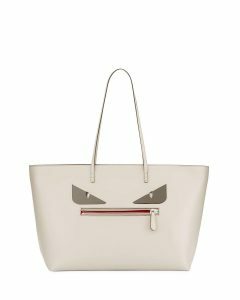 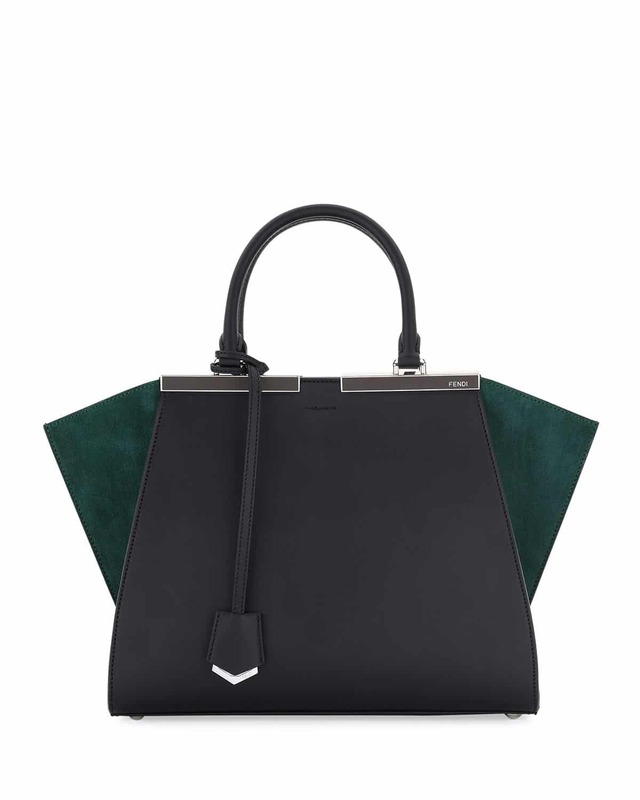 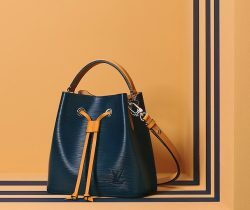 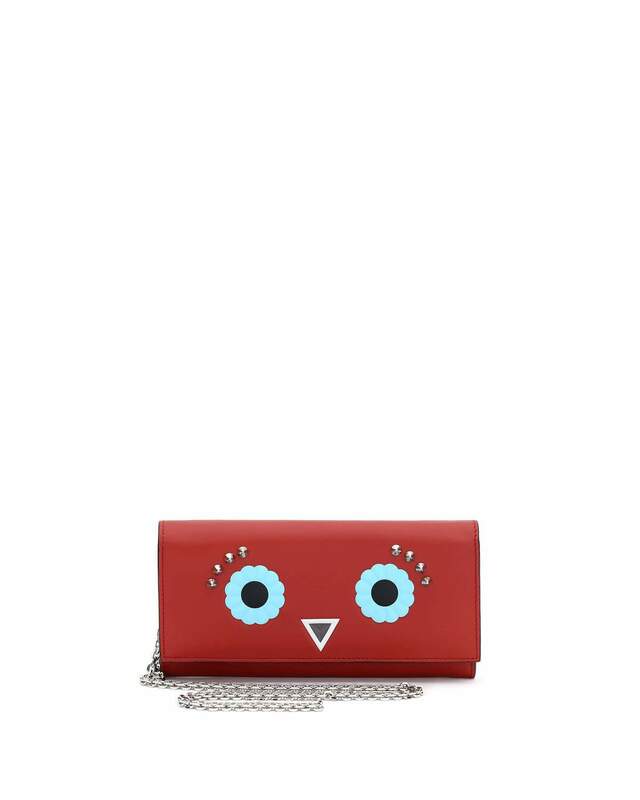 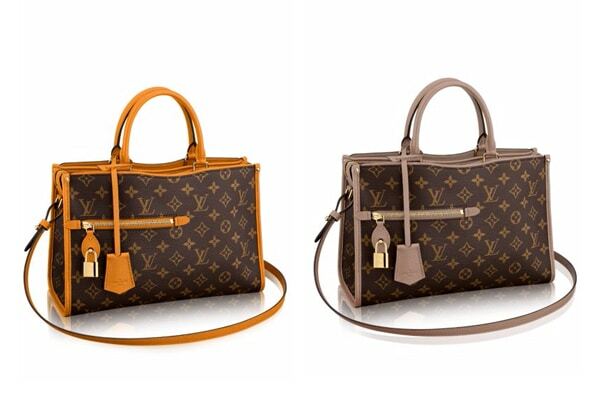 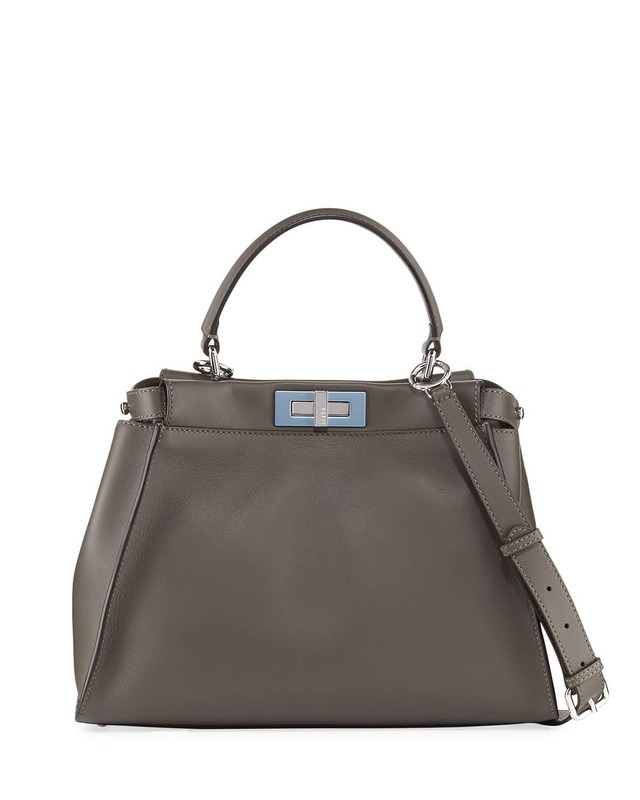 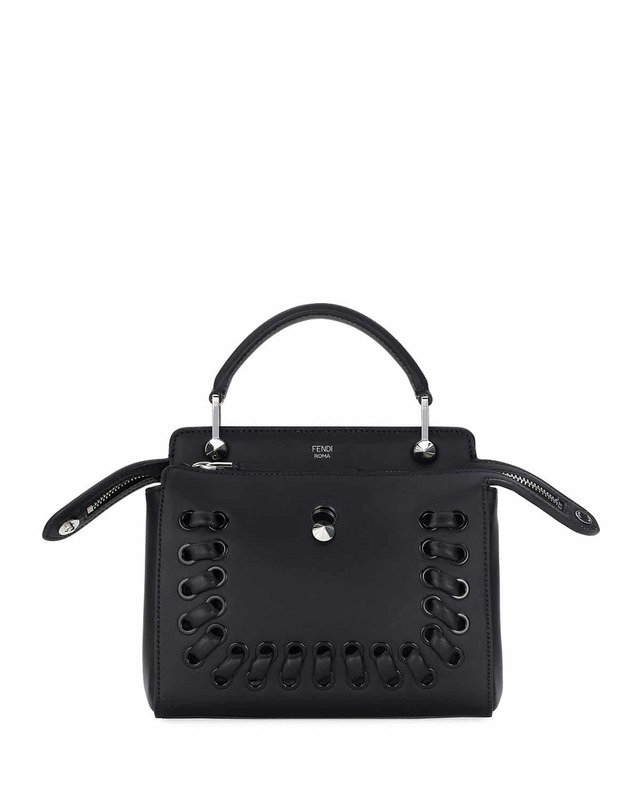 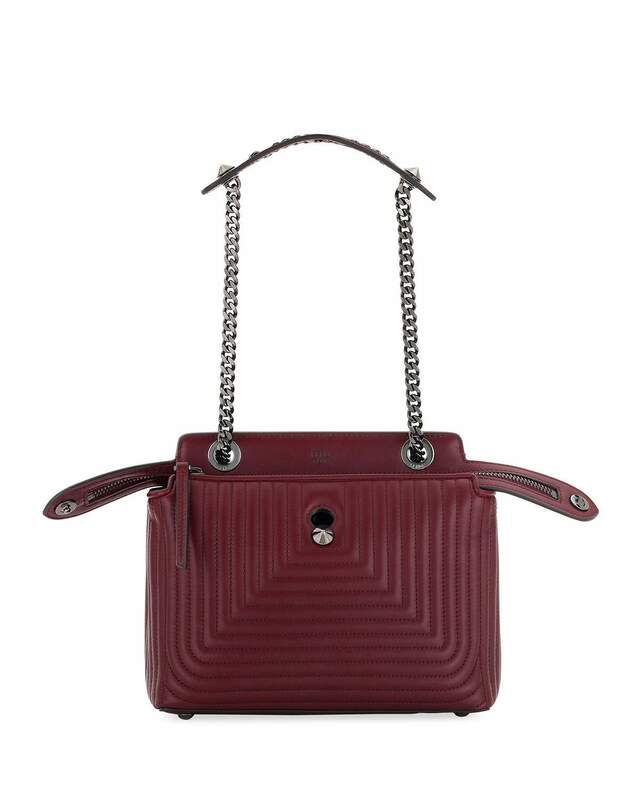 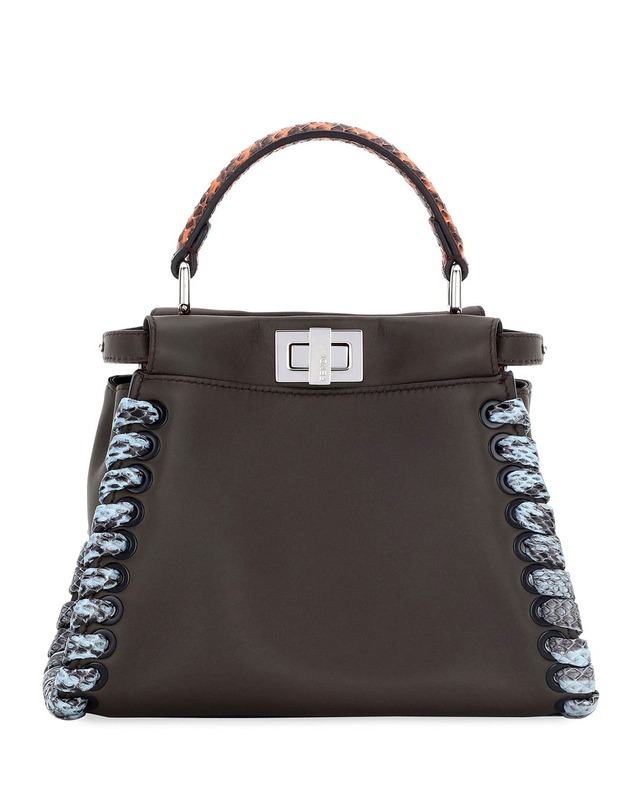 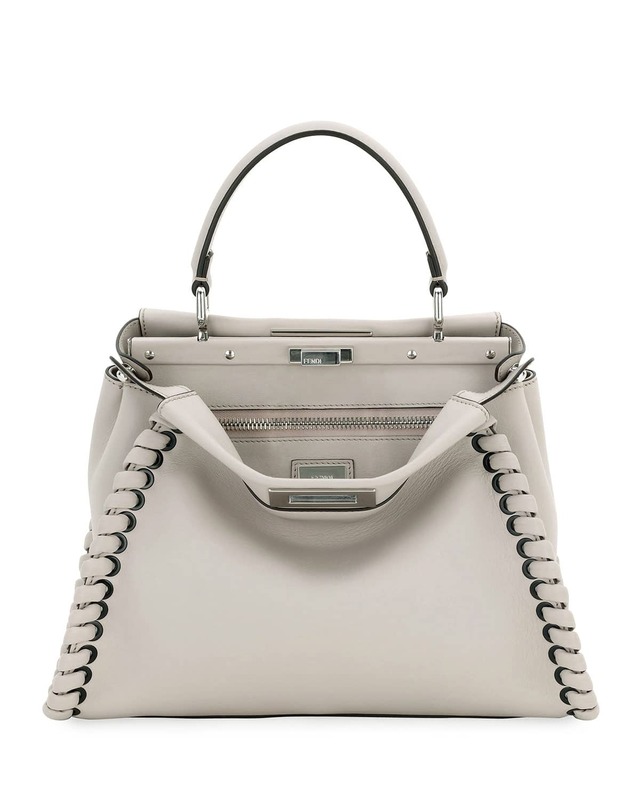 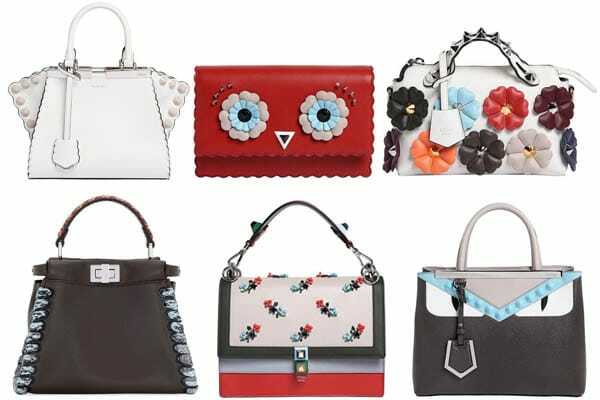 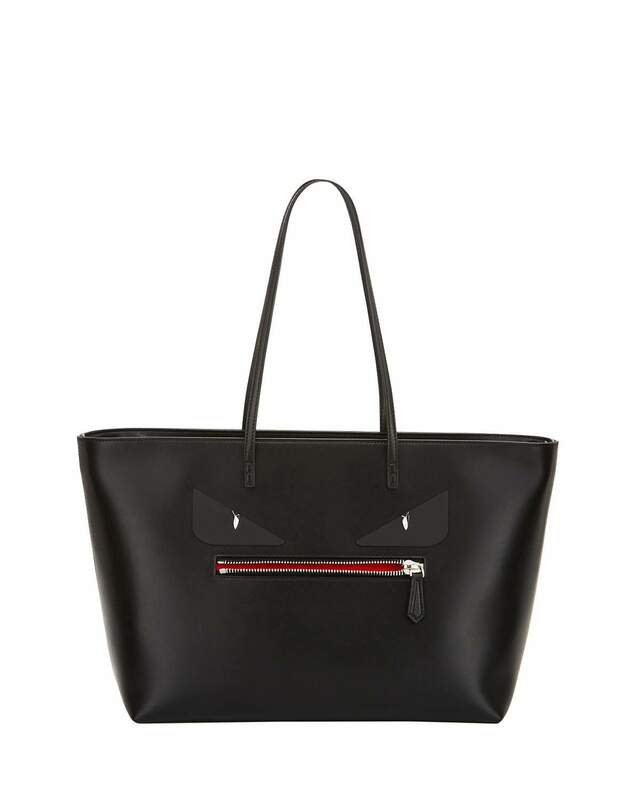 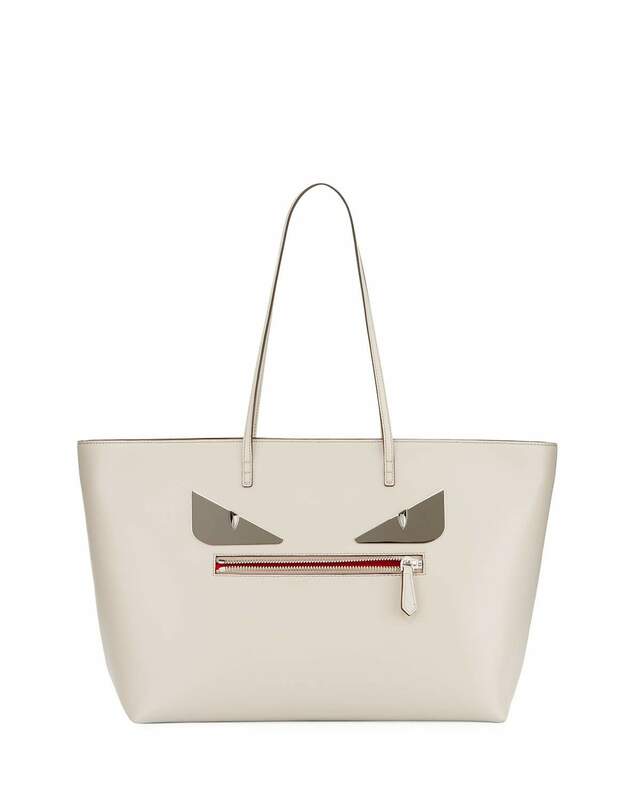 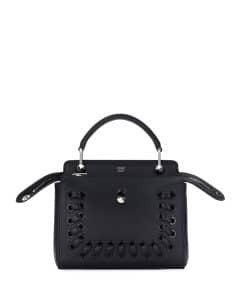 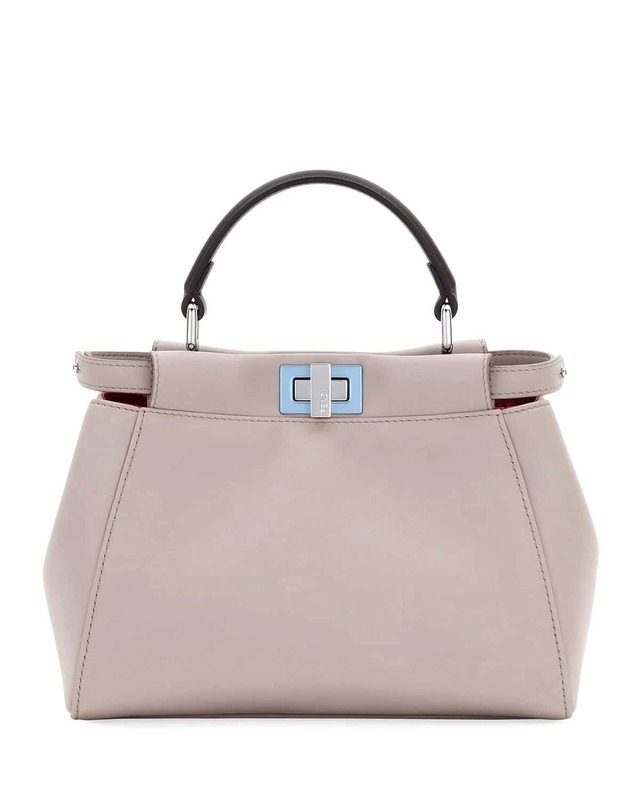 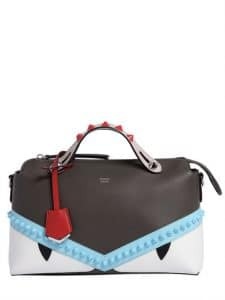 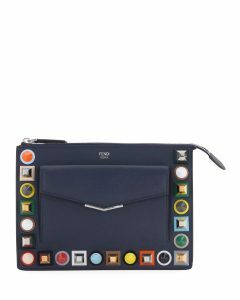 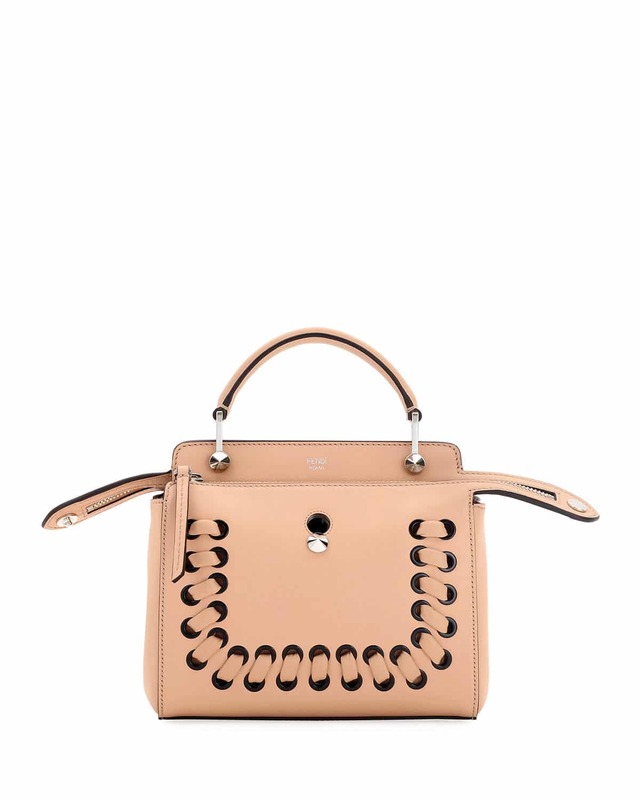 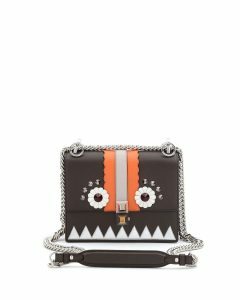 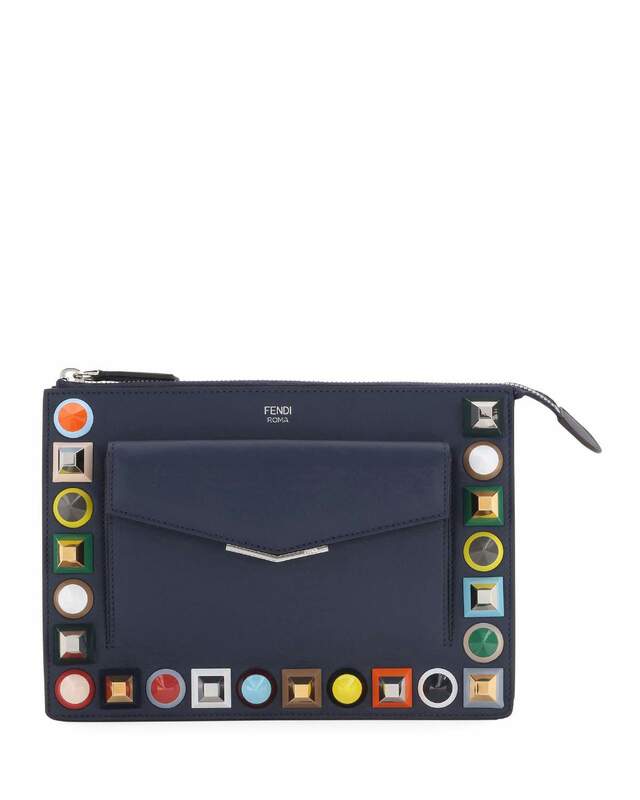 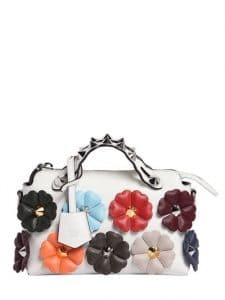 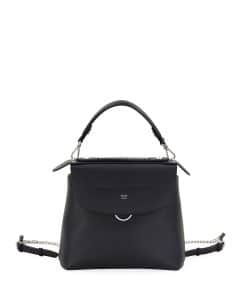 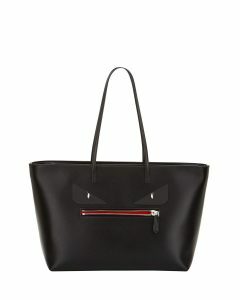 Fendi’s classic handbags such as the Peekaboo, 3Jours, By The Way and Dotcom are available this season in new colors and designs. 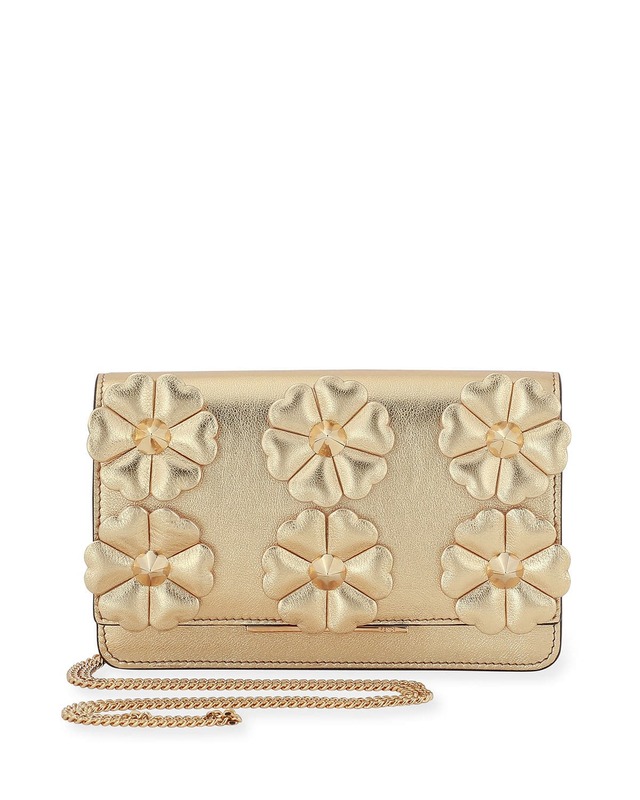 While the lovely Kan I comes in metallics, florals and Monster pattern.